The Banner brand has been developed over time as several brands have joined together, including Beau Brummel, Blue Max, Banner, Orion and SWI, to create what we know today as Banner. Our name has changed but our focus remains exactly the same, to maximise opportunities for our brands and continue to innovate the schoolwear market with our products and service. The new name reflects the breadth of our brand focus across two distinctive divisions: Schoolwear and Sportswear and is underpinned by our mission to be the best in everything that we do. Employing over 180 people across three sites in Trowbridge, Runcorn and Seaham, the company has achieved significant growth following a management buyout in July 2015, backed by Private Equity Investors, MML. 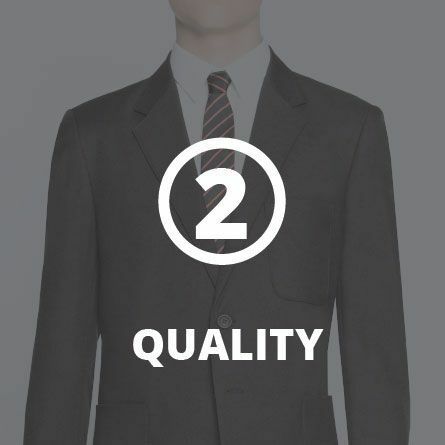 The business is in a strong financial position and continues to invest heavily in stock, new product development, marketing and design, new technology and people, ensuring that we not only continue to supply our customers with innovative quality products and excellent service both now and in the future, but we centre our approach around making the supply of Schoolwear as easy as possible. Our unique approach is centred around making the supply of schoolwear as easy as possible, while providing garments that are not only comfortable to wear, fit for purpose but also technically advanced across our brand portfolio. Internally we have also heavily invested and our special blend of skills throughout the business makes us unique as we now offer a complete start to finish process from design, market, manufacturer and deliver ‘fit for purpose’ garments with the students always at the forefront of our minds. The Banner vision defines what we stand for. Our vision is for schoolwear to be innovative and meaningful, and to push boundaries with those that want to share our journey. 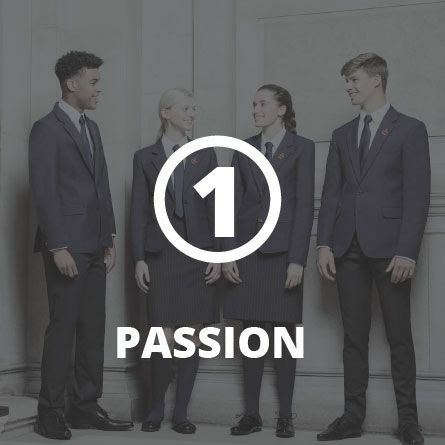 It is an inspiring vision for our future, one that we are uniquely suited to with our vast experience and our commitment to be the market leader in schoolwear. Our heritage and mission is built around a quality and service portfolio, offering a comprehensive product range of uniform and sportswear driven by our passion, innovation and excellence in everything we do. At Banner we are proud of our history, excited about the future and trust our talented people to deliver sustainable growth in the years ahead. Our approach to our mission statement is centred around making the supply of schoolwear as easy as possible, while providing garments that are not only comfortable to wear, fit for purpose but also technically advanced. 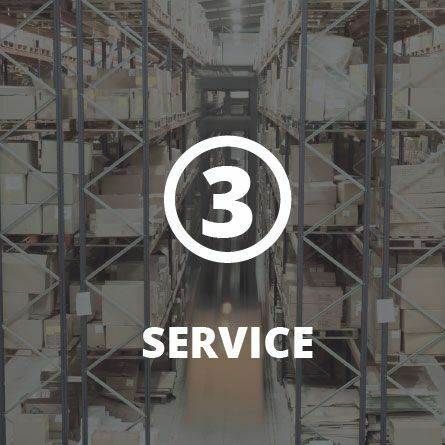 We do this by focusing on our 4 key elements. We are passionate about making a difference in students' lives and being the brand that defines innovative schoolwear. We don't compromise on quality. Quality drives our entire approach to what we produce, how we produce and how we deliver to our customers. Service is a huge part of what we do. We pride ourselves in offering the best customer service and stock supported ranges in the industry. Innovation is fundamental to our growth and is a key driver in our approach to push the boundaries within schoolwear. 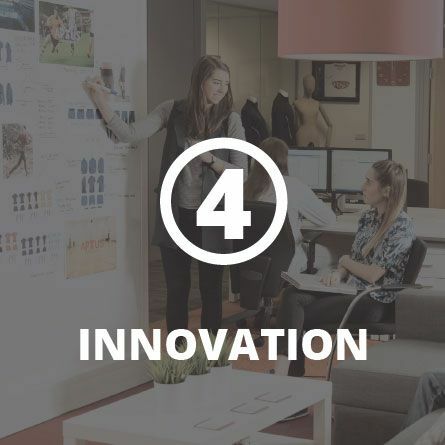 At Banner all ideas are welcome and we embrace a diverse and collaborative working environment. We aim to nurture a culture infused with passion, trust, respect, learning and ownership and to allow our people to always aspire to do their best. Our culture is a reflection of our passion to make a difference and is the foundation for all our staff, customers and suppliers and support the essences of what we do, strive to do and aspire to do. We aim to do things differently. We follow our passions with tenacity and innovation. We are always looking to solve problems and meet new challenges with optimism and welcome ideas and solutions that accommodate the needs of our people, customers and suppliers. We aim to give all our people a voice. We encourage and invite a diverse perspective on anything that affects our brand, our people and our partners. We take responsibility for delivering excellence as individuals as a team and as a brand. We aim to give all our people opportunities to grow, succeed and gain experiences. We want our people to embrace the latest technologies, resources and offer continuous learning opportunities to help bring out the best in our people. We want our people to learn from experiences and embrace the future. We aim to stay true to who we are. We foster trust in each other, trust in the brand and put trust in our suppliers and customers by building honest, rewarding relationships.